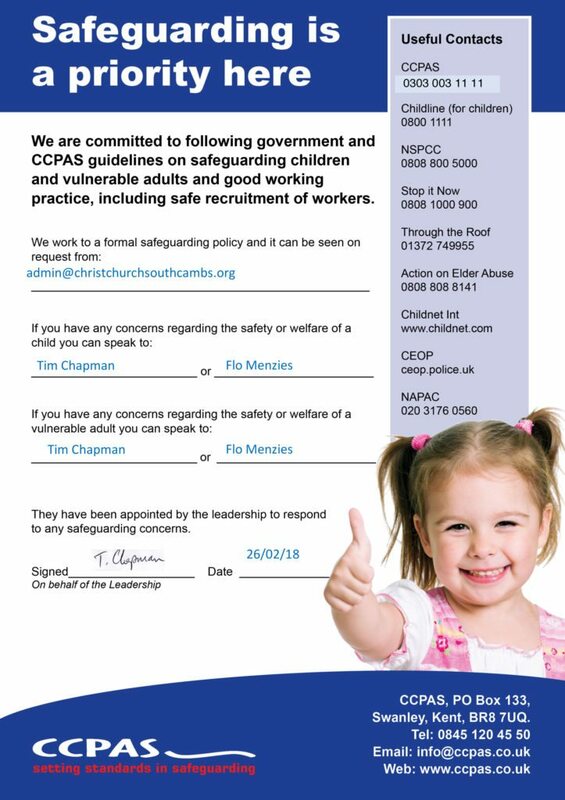 CCSC takes safeguarding seriously and clear child protection protocols are in place. Please enter the ‘members’ area for the detailed policies, or email admin@christchurchsouthcambs.org if you would like more information. All content © Christ Church South Cambs 2019. Cookies & Privacy. Design by ninefootone.